Author Diney B was one of the first people that I ‘met’ on-line through her then blog, and we’ve kept in touch ever since on twitter. So I was thrilled to read about her 15 year old daughter Ellie, and the film that she’s trying to make. 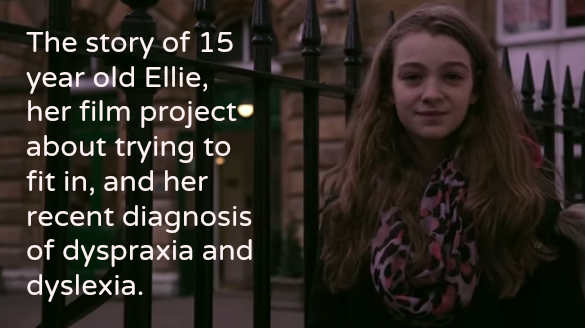 I really wanted to support it, so this is Ellie’s story by her Mum, and it features dyspraxia, dyslexia and a bit of autism on the side.